freedom of speech Archives - counterjihadwarrior.com - Because Islam will NEVER EVER be a Religion of Peace - rather a barbaric, totalitarian cult, based on fear, violence, intimidation & terror. 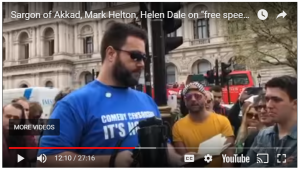 Sargon of Akkad (the YouTube identity of Carl Benjamin) speaks in London after the sentencing of Count Dankula, (the YouTube identity of Martin Meecham) who was fined £800 for making a cute video of his girlfriend’s dog making a Nazi salute and posting it on Facebook. Quite apart from the fact that no dogs were harmed in the video, and that it was obviously a joke to wind up his girlfriend, this illustrates the fact that “hate crime” legislation in this country has got out of hand and needs to be repealed forthwith to restore the right of freedom of speech, where so-called “offensive speech” can be freely debated rather than being censored by a heavy-handed nanny state to satisfy the sensitivities of snowflakes. What actually happened was that the “Windrush” generation for the most part integrated and assimilated British values and the British identity, and so the fears that Enoch Powell was referring to were largely irrelevant. This however is not the case with the wave of Muslim immigration over the past forty years, where Muslims have been encouraged to keep their identity and culture separate, as part of the now discredited concept of multiculturalism. Sargon of Akkad makes a very good case for the repeal of all “hate crime” laws in the wake of the fine imposed on Count Dankula and the charging, prosecuting and jailing of numerous patriots and their leaders which has been increasing exponentially over the past few years. The video can be seen here, and apart from the first few minutes where the organisers are dealing with a faulty megaphone, this is an extremely well-presented and passionate speech that strikes the right note, and one that our political elites would do well to heed before it is too late and the window of opportunity for a peaceful resolution disappears under the tsunami of Muslim immigration that threatens to swamp us all. Every now and again one comes across a video that perfectly sums up what we are up against. 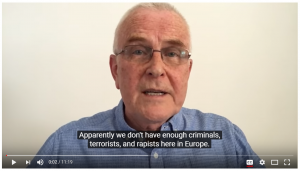 This is one such video, from Pat Condell. You will note that I have replaced the YouTube domain with a new domain called HookTube, which is designed to mitigate the effects of social media censorship by transferring the video to an independent domain. Try it yourselves with any controversial video that you think may be in danger of being removed from YouTube – given the increasingly totalitarian environment in which we now find ourselves. And please watch this video – it is most certainly worth four minutes of your time. If you’re wondering why the society you’ve lived in all your life feels as if it’s being pulled from under you like a rug, it’s because while you weren’t paying attention, your wholesome values were quietly reclassified as ugly prejudices and now you are the problem. You believe in free speech? No, you believe in hate speech, and now you’re a criminal. You like democratic sovereignty, then you’re a xenophobe and a fascist, no platform for you. You want a secular society, you Islamophobic racist? You’re spreading hate, and you’d better be using the right pronoun too, if you don’t want to be excluded for the sake of inclusion. In short, there’s no place for your kind in the bright new tomorrow we’re building. Now that the minds of an entire generation have been thoroughly rinsed through a progressive education that hates Western culture and everything it stands for, and everything that you hold dear, there’s been a climate change that you didn’t see coming. The climate has changed against you and your privilege, and without wishing to put too fine a point on it, your presence is no longer required. The best way to destroy the foundations of a society is to teach its young people not to respect them, and a whole generation has been successfully taught not to value free speech, the very cornerstone of our civilisation, but to hold it in contempt, to fear it, to run from it, to seek refuge from ideas in emotional safe spaces, and to believe that hurting somebody’s feelings is a form of assault on a par with cracking their skull. This tyranny of feelings has been carefully nurtured, to breed this infantile generation of emotional casualties, victims and cry-babies, this generation of moral and political halfwits, who can’t wit to sign the next petition to shut somebody up or shut somebody down, never thinking for a moment that it could ever happen to them, a generation so placidly happy to saw off the branch they’re sitting on, it’s almost as if they’ve been programmed in some way. So if you think you’ve got the truth on your side, you don’t know what you’re up against. The truth is incorrect and therefore inadmissible. If you think you’ve got the law on your side, forget it – the law protects feelings now, but not your feelings. Well, what about your rights of free expression under the Universal Declaration of Human Rights, you ask, optimistically? Nice try, but we both know that in the real world human rights don’t apply to the wrong opinions. Are you crazy? You need to understand that when breeding the perfect captive society of self-policing petty censors, you can’t afford to let somebody just come along and undermine it with a rational argument. So feelings outrank rational argument now, you probably noticed that when you were banned from social media, and rational argument when it hurts somebody’s feelings is – you’ve guessed it – hate. You see, progressive moral righteousness can make up these rules as it goes along, because it’s got itself on its side, so really you can’t win. They won’t even listen to your arguments as they beat you down with their phony buzz-words. It’s not about arguments or ideas anymore – that debate is illegitimate. It’s about you being a racist monster, causing division and spreading hate, and it’s about dangerous, fascist throwbacks like you, being aggressively purged from our society like a cancer. Just so you know what you’re dealing with here. Welcome to Progressive Utopia. 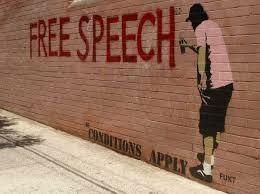 I yield to no one in my burning passion for Freedom of Speech. It is every Englishman’s birthright and the cornerstone of every civilised democracy in the Western world. One would have thought that it would be universally recognised as such and enshrined in law for all to benefit in perpetuity. Unfortunately, many of the great and the good in this country, as in much of Western Europe, have other ideas. For them, Freedom of Speech in the UK is an annoying concept that prevents them from enforcing on us totalitarian concepts such as globalism, Islamic supremacism and the destruction of our much-loved and revered nation states. One of the most compelling series of videos that I have come across recently that deals with some of the more ominous developments concerning our Freedom of Speech, comes from a gentleman by the name of Mike Lane. He details some of the machinations that go on behind the scenes, that if allowed to proceed unrestricted, unchecked and unchallenged, will result in the elimination of all the freedoms that we currently take for granted. Mike Lane has a very down-to-earth style and lays out his concerns in a way that everyone can understand and identify with. He doesn’t propose a “magic bullet” solution to instantly solve the problem, merely to make everyone of goodwill (that is to say, non-Lefties and non-Muslims) aware of what is really going on. 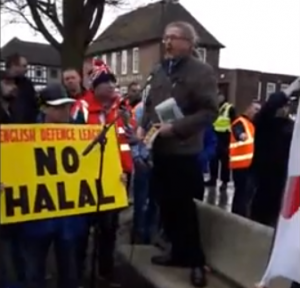 The bottom line is that in the name of combating so-called Hate Crime, Freedom of Speech is being increasingly looked on as unavoidable collateral damage. Nobody in authority is stopping to think that the drive to criminalise the speech – and the thoughts – of ordinary men and women in this country will usher in an era of totalitarianism far, far worse that George Orwell ever envisioned in his novel 1984. Or maybe that is exactly what they do think, and that’s the problem. Anyway, here are the three most recent videos from Mike Lane – they are well worth watching for his ability to transform and expose dry-as-dust concepts like the Home Affairs Select Committee into the ravenous monsters they really are. It really is well worth an hour or so of your time. Update – 24 February – Surprise, surprise, the videos have been taken down from YouTube. Given the time and trouble to produce an hour’s worth of professional presentation and content, I doubt that Mike Lane did this of his own accord. I will be investigating the reasons behind the removal of these videos and will report back as soon as I can. On the sixteenth anniversary of 9/11, we are still no closer to officially recognising Islam as the mortal enemy of the West – recognising that a state of animosity and hatred exists between us, driven solely by the dictates of the Koran and Sunna. It cannot be resolved by our appeasement or tolerance – we have to actively push back against it, with all of the resources at our disposal. 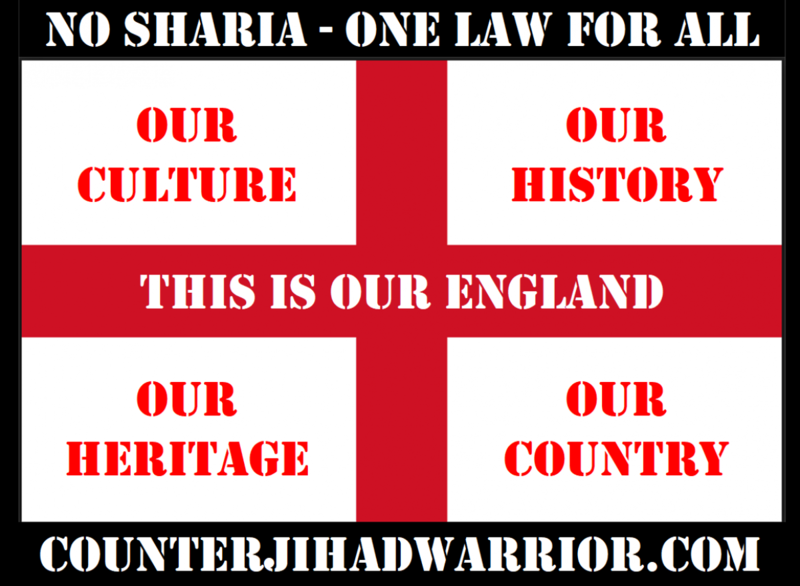 The only alternative outcome is for our Judaeo-Christian culture – and quite possibly our entire Western civilisation – to be completely destroyed, due to our treasonous political elites having conspired to open the floodgates of our societies to a tsunami of Muslim immigration. Pat Condell’s excellent video can be found here.